Want to Get Rid of Bed Bugs For Good? Tried over the counter bed bug sprays? OnGuard Pest Control provides fast, effective bed bugs treatment and helps you get rid bed bugs for good. Although you can see adult bed bugs (5-6mm), their eggs and first stage larvae are very small and any effective treatment has to eradicate all three stages, or your treatment will only be partial and the problem will soon be back. We check and treat all the places that bed bugs hide and help you get rid of bedbugs infestation. Guaranteed. Bed bugs can hide behind skirtings, in electrical fittings, in furniture joints, in fabrics, and many other places. Bed bugs have several stage of development and are one of the most difficult pest problems to eradicate quickly. By far, the best solution for bed bugs is to hire a pest control company with experience successfully controlling bed bugs. As there is not really a “one bed bugs treatment” that does it all, permanent eradication of bed bugs frequently requires a combination of pesticide and non-pesticide approaches, especially if you used over the counter remedies and they developed resistance to certain poisons. Onguard Pest Control technicians use highly effective, professional bed bugs treatment that kills the existing adult bed bugs, their larvae and eggs and leaves a long-lasting residue that ensures that the bed bugs do not return. We use a special spray for mattresses that is non-irritating, so there is no disruption to your normal life while we apply the treatment. We also give you advice on measures you can take regarding your clothes and furnishings to totally eliminate all traces of these blood-sucking pests. We offer 24 hour service for Dublin, Kildare and surrounding areas. Bed bugs are reddish brown and adults are as long as 6mm. An unfed bed bug will be flat and oval shaped. When they have fed they assume more elongated shape. The name of the “bed bug” is derived from the preferred habitat of Cimex lectularius: warm houses and especially nearby or inside of beds and bedding or other sleep areas. Adults can live for 8 months at room temperature and much longer in colder conditions. Each female can lay 2-3 eggs a day through her life. Bed bugs are excellent travellers and they can easily be transported in your clothing, luggage or a parcel. Main ways that bedbugs could have been introduced to your home include, bringing some back in your clothes or luggage from holiday, guests to your home brought them in on their clothes or luggage, you live in and older apartment or multi-occupancy dwelling and your neighbour has them. Bed bugs are mainly active at night, but are not exclusively nocturnal. They are notoriously hard to spot, so it often takes an experienced pest exterminator to uncover their hiding places. Bed bug bites can cause skin rashes, allergic reactions and can have adverse effect in your well being, as you will be kept awake scratching rather than having a good night sleep. Their bites may not be noticed initially, they develop slowly to itchy welts that may take weeks to go away. You might also read this article – How to identify Bed Bugs Infestation? If you notice the first signs of bed bugs infestation in your home or business, don’t wait until everyone is getting bitten. Pests multiply very quickly and if you leave it too long, the problem can and most probably will, get out of hand. Do not wait until bed bugs infest every nook and cranny in your home as this makes it more difficult and time consuming and therefore more expensive to treat. 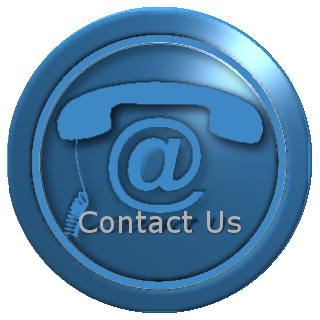 If you suspect that you might Bed Bug problem, call us on 01-4511795 or request a callback by filling out the form on the link below.